1861 autograph album, owner unknown to me, with inscriptions left mostly by young adult residents of Bangor, Maine, perhaps schoolmates. Most pasted their photograph to the page they inscribed. The album also contains the photographs of two children. The album measures approximately 7-3/4" by 5-1/4" and contains the inscription and/or photograph of 38 individuals. 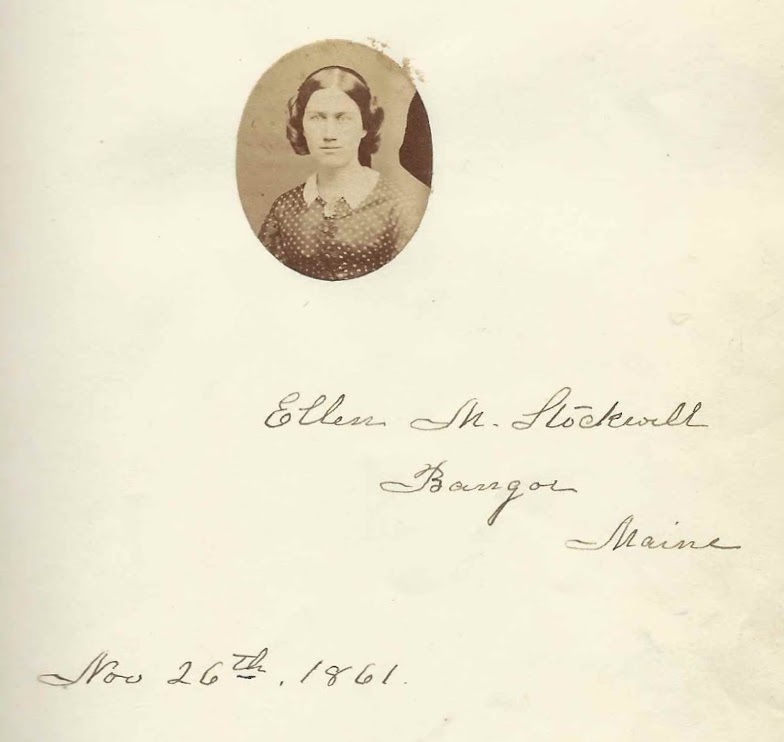 Most of the inscribers were born in the 1830s and 1840s; many later became well-known in their communities in Maine and beyond. Sadly for posterity, 13 people, known well to the album owner, pasted a photograph without leaving an inscription. See their photographs at the end of this post. 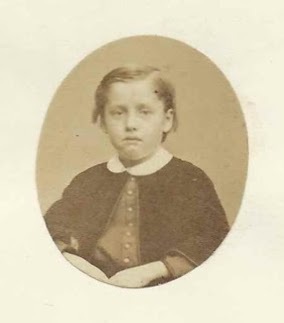 Perhaps a reader will recognize one or more of them from family albums or research and leave a comment. An alphabetical surname list and an alphabetical list of the inscribers appear near the end of this post. 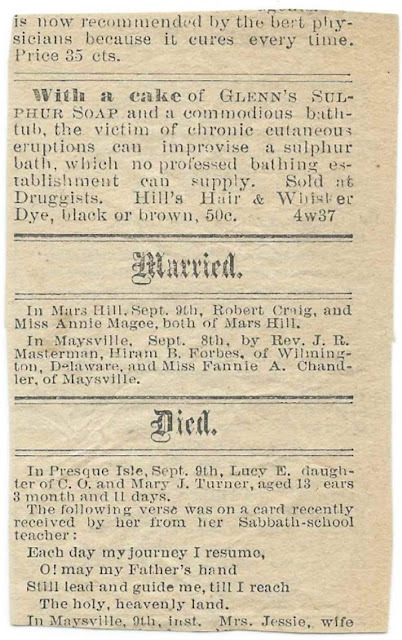 Tucked in the album are three newspaper clippings, one of which, apparently from a Presque Isle, Maine, newspaper issue of 1877, contains two marriage announcements and one death. One or more of the names might indicate a clue to the album owner. In Maysville, Sept. 8 , by Rev. J. R. Masterman, Hiram B. Forbes, of Wilmington, Delaware, and Miss Fannie A. Chandler, of Maysville. In Presque Isle, Sept. 9 , Lucy E., daughter of C. O. [Charles O. Turner] and Mary J. Turner, aged 13 years, 3 months and 11 days. Another possible clue is that three Stockwell sisters, daughters of Leman and Ruth Stockwell, left inscriptions and photographs. 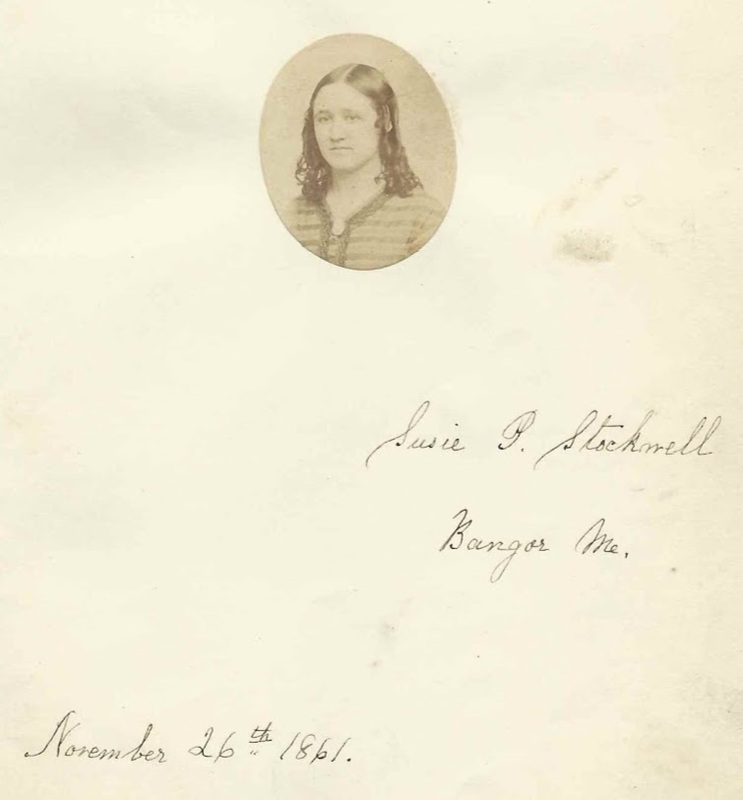 Perhaps the Stockwell family were relatives, neighbors or acquaintances of the album owner's family. The sisters were Susie P. Stockwell; Ellen M. Stockwell; and Nancie H. Stockwell. 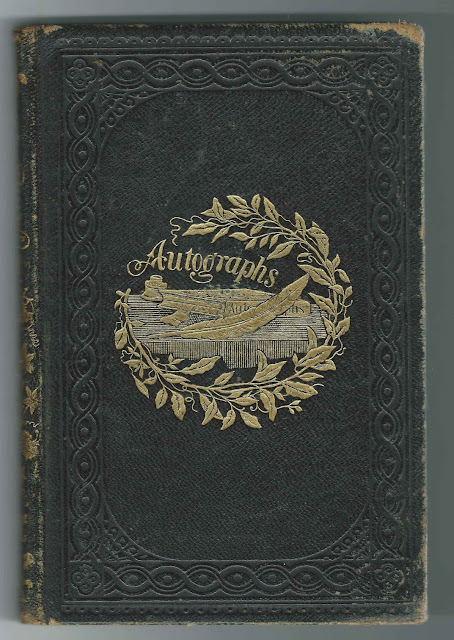 The autographs included at least two sets of people who later married. 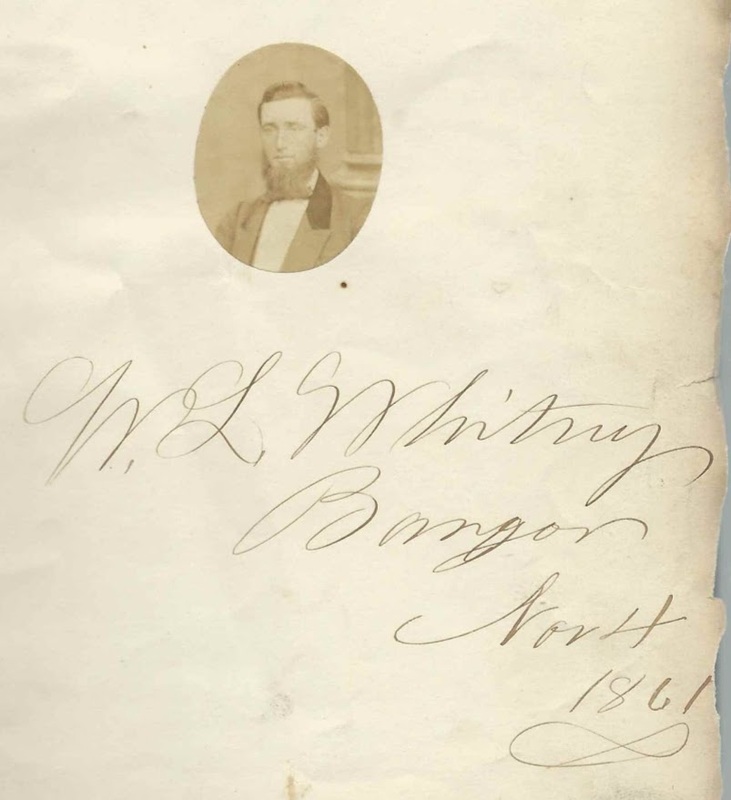 W. L. Whitney of Bangor, Maine, left an inscription and photograph on November 4, 1861. 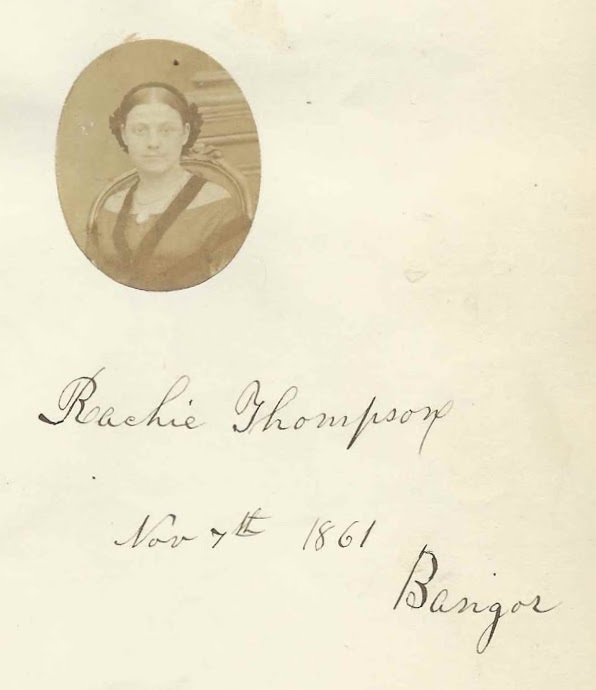 Rachie Thompson of Bangor, Maine, left an inscription on November 7, 1861. I found a Warren Lincoln Whitney (1834-1910), whose first wife was Rachel Wilson Thompson (1835-1889). The other set was Henry Boardman and Angie Ford, whom I believe to have been Jonathan Henry Boardman (1839-1904) and Angie Ford (about 1842-1921). Neither of them left a photograph, unless the photographs became detached at some point. 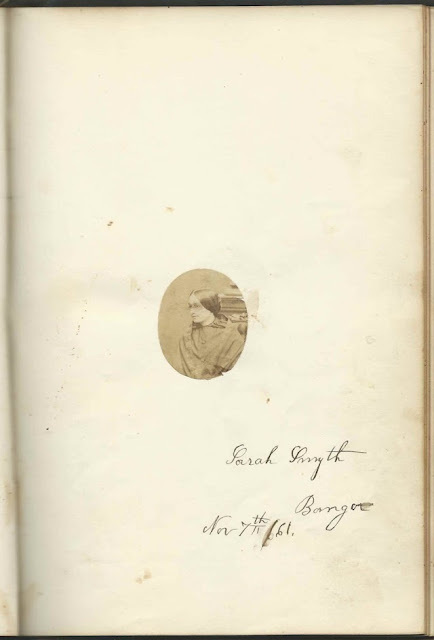 In response to a reader request, I'm adding the image, and enlargement, of a page inscribed on November 7, 1861 at Bangor, Maine, by Sarah Smyth, who affixed her photograph to the page. 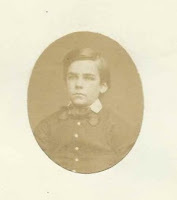 Henry Boardman of Bangor, Maine; inscribed on November 4, 1861. 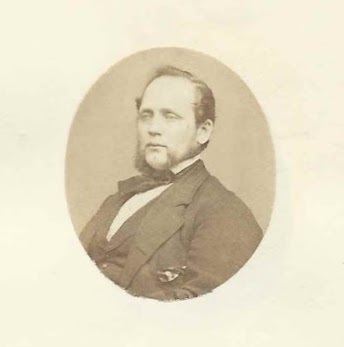 Presumably Jonathan Henry Boardman (1839-1904), future husband of inscriber Angie Ford. 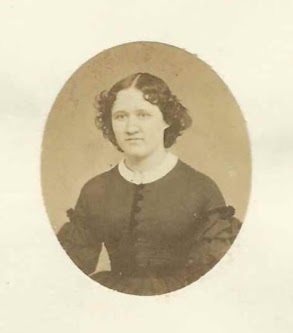 Miss Fannie A. Chandler of Maysville, Maine; her September 8, 1877 marriage to Hiram B. Forbes of Wilmington, Delaware, at Maysville; performed by Rev. 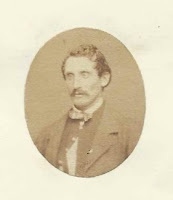 J. R. Masterman; in a newspaper clipping tucked in the album. 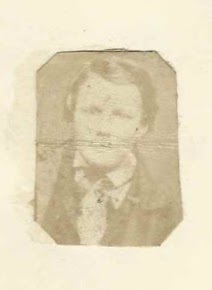 Robert Craig; his marriage to Miss Annie Magee at Mars Hill, Maine, on September 9, 1877 in a newspaper clipping tucked in the album. 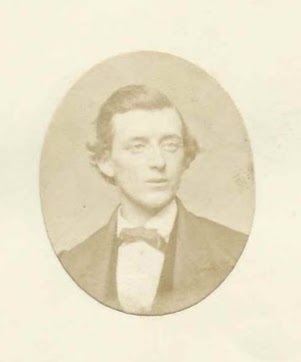 Hiram B. Forbes of Wilmington, Delaware; his September 8, 1877 marriage to Miss Fannie A. Chandler of Maysville, Maine, at Maysville; performed by Rev. J. R. Masterman; in a newspaper clipping tucked in the album. 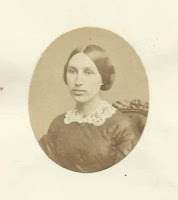 Miss Annie Magee; her marriage to Robert Craig at Mars Hill, Maine, on September 9, 1877; in a newspaper clipping tucked in the album. 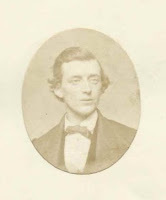 C. N. Rand of Bangor, Maine, inscribed on November 6, 1861; photograph. 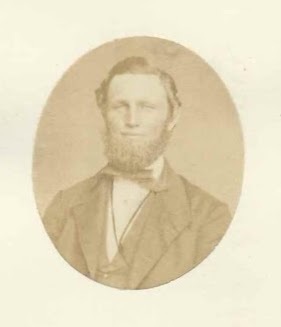 Presumably Charles N. Rand (1838-1912). Rachie Thompson of Bangor, Maine; inscribed on November 7, 1861; photograph. 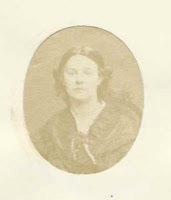 Rachel Wilson Thompson (1835-1889) would marry inscriber Warren Lincoln Whitney. 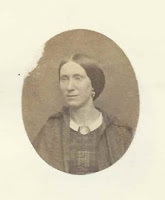 Mrs. Trask; photograph. 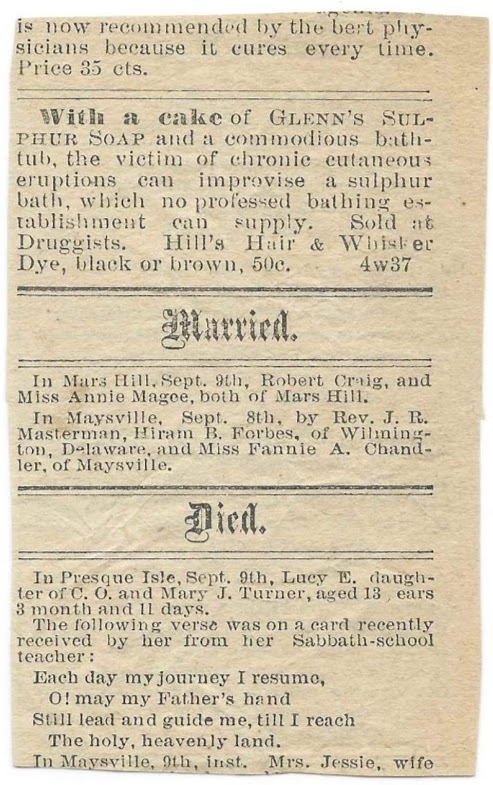 First initials might be A. K. P.
Lucy E. Turner of Presque, Isle, Maine; her death notice of September 9, 1877, age 13 years, 3 months and 11 days; daughter of Charles O. and Mary J. Turner; in a newspaper clipping tucked in the album. 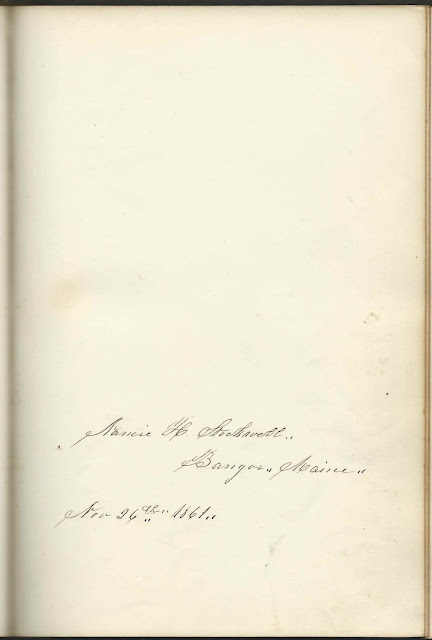 P. M. Whitman of Bangor, Maine, inscribed on November 5, 1861. 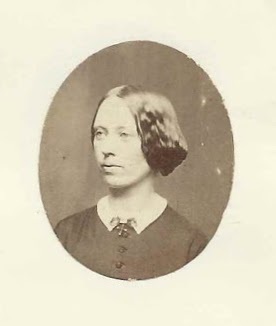 Presumably Prentiss Mellen Whitman (1838-1916); photograph. W. L. Whitney of Bangor, Maine, inscribed on November 4, 1861; photograph. Presumably Warren Lincoln Whitney (1834-1910). 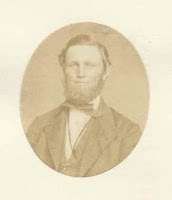 His first wife was inscriber Rachel Wilson Thompson, "Rachie". 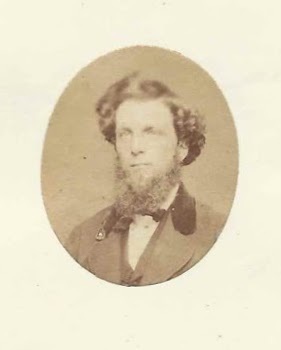 E. G. Wyman of Bangor, Maine; inscribed on November 5, 1861; photograph. Presumably Edward G. Wyman (1842-1919). 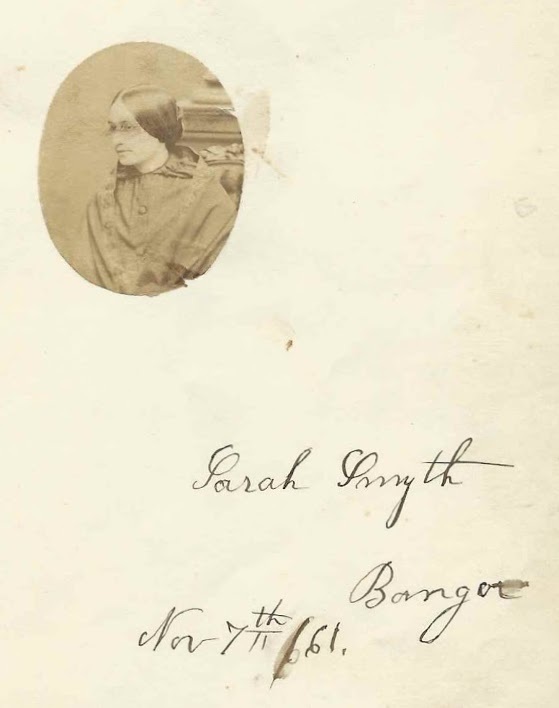 I was very surprised to see the name of Sarah Smyth mentioned in your post! We have two Sarah Smyth women in our tree from Bangor. One is my 4x gr grandmother and the other is a 3rd cousin. Is it possible that I might see a photo of Sarah and her signature? Thanks so very much for posting this amazing information! Will add it to the post. Glad you happened by!